In 2013, melifiry was made. Johnmichael Carrabotta (melifiry) created his YouTube channel with the intent of making voice over videos, but, instead took on cover songs. With a growing fanbase from his first release "Rage On", his second cover for Attack on Titan "Jiyuu No Tubasa (Wings of Freedom)" blew up! 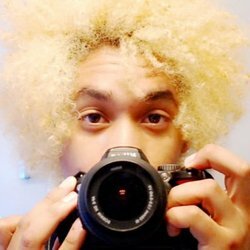 Garnering over 1,200,000+ views on his channel, Johnmichael followed by releasing hits "Kyouran Hey Kids", "RE:RE", and "Believe In Myself!" With each new song, he encourages a message of positivity, love, and motivation for his fans. Through his success on YouTube, melifiry has been cast In video games, original animations, radio plays, and now resides in Los Angeles, California for voice acting! He is also a runner up in Bang Zoom Entertainments Perfect Idol Voice Over Competition! The production quality and opportunities for melifiry continue. Now, Johnmichael takes it to a whole new level by performing live with studio musicians!